Below are some calendars with pictures of Egypt, or Egyptian themes. The glorious civilization of ancient Egypt sprang up along the banks of the north Nile around 3500 B.C.E. and flourished for over 3,000 years. The ancient Egyptians inspired timeless legends and built marvelous structures that still stand as testaments to their inventive spirit. 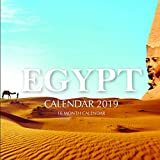 Featuring pyramids, the Sphinx, and other timeless attractions, this captivating square wall calendar surveys some of ancient Egypt’s most stunning sights. Time is a fascinating subject. For hundreds of years, philosophers, mathematicians, and astronomers have approached it in various ways. Astrologers, priests and priestesses, along with initiates, have tried to decipher the mysterious bonds that make us sons and daughters of the earth and the starry sky. Each day, we witness the cycles of the sun and the moon. However, it is common knowledge that our modern calendar is artificial and deeply disconnected from the real visible and invisible cycles of the cosmos. One of the greatest mysteries is hidden in plain sight and today you can unveil it! The Pagan Almanac 2019 gives you access to the actual calendars of the greatest pagan traditions. You will discover the real planetary days, astral events, cycles of the moon and the sun, the period of the decans and much more. Each calendar is provided with the traditional festivals and sacred days. You can now follow the dates all along the year and deepen your understanding of the Western Tradition with fascinating articles. With this “Ultimate Pagan Calendar 2019,” your will enlighten your spiritual and magical life! Vivian Godfrey White (Melita Denning). Fill your upcoming 2019, with 16 months of Egypt all year round. This beautiful calendar contains 16 months and 3 mini 2018, 2019, and 2020 year calendars. For hundreds of years, philosophers, mathematicians, and astronomers have approached it in multiple ways. Astrologers, priests and priestesses, along with initiates, have tried to decipher the mysterious bonds that make us sons and daughters of the earth and the starry sky. This Pagan Almanac 2019 gives you access to the real calendars of the greatest pagan traditions. You will discover the real planetary days, astral events, cycles of the moon and the sun, the period of the decans and much more. Each calendar is provided at its real time with the traditional festivals and sacred days. You can now follow the dates all along the year and deepen your understanding of the Western Tradition will very interesting articles. With this “Ultimate Pagan Calendar 2019” your will enlighten your spiritual and magical life! The series of the "Egyptian Gods Calendar" continues with the year 2019. This is another creation of Lazaros' Blank Books dedicated to the most worshiped gods of Ancient Egypt. It includes Moon Phase information for the entire year plus "Sun Info" with the actual date when the Sun changes astrological sign. 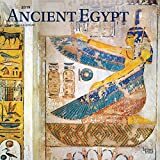 In the 2019 version we have also added lots of text about the Gods and their pantheon, more sacred symbols from ancient Egypt and more blank space for your note keeping needs. If you enjoy coloring, then this large book (8.5"x11" or 21.59x27.94cm) will allow you to color the figures of the 12 entities. You can use it as a daily/monthly organizer/planner as it has blank space for each day of 2019 and even more blank space. A unique calendar-organizer-planner for unique people and always at the right price. Comes with matte cover. Enjoy.